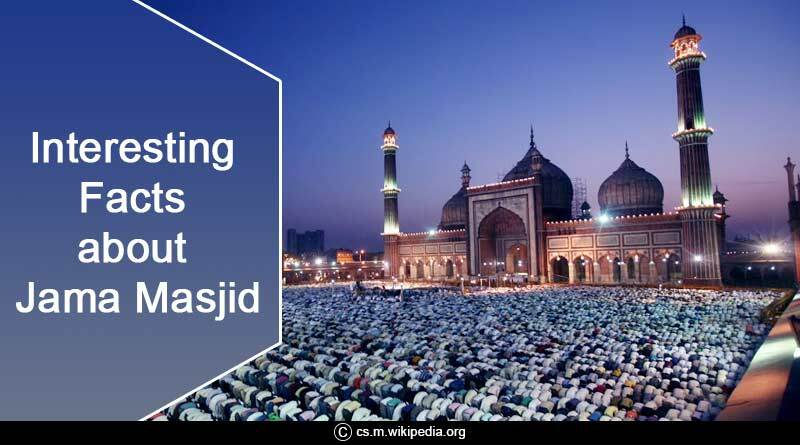 Do you know these interesting facts about Jama Masjid? The Jama Masjid is one of the country’s largest Mosques situated in Old Delhi in the capital city of India, New Delhi. It was originally known as Masjid-i Jahn-Numa, which means, ‘Mosque commanding view of the World’. The place is so lively all twenty-four hours a day that you can experience a happening nightlife in the city. 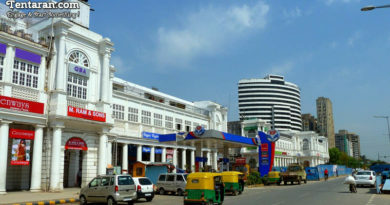 It is also one of the most visited places in Delhi, India. But there is so much more to Jama Masjid, let’s find out that through these interesting facts about Jama Masjid. The Jama Masjid, like many other splendid monuments, was built during the kingship of the Mughal emperor Shah Jahan in the seventeenth century between 1644 and 1656. The entire premises of the Mosque is spread across 2.9 acres (12000 square meters) approximately, out of which its huge courtyard is spread across 408 square feet. Approximately 25,000 people can be accommodated in the massive courtyard of the Jama Masjid and if you include the entire Mosque they say that the numbers can go up to a whopping 80,000 plus. You can experience its grandeur the moment you visit there. It has four minarets which stand 40 meters tall, four towers and three gateways. The Mosque also reflects a cultural blend as some places inside has been designed as per the Hindu and Jain architecture designs. It took the rigorous efforts and hard work of approximately 5000 workers to make the Jama Masjid and make it what it looks like today. Also, the word ‘Jama’ means a Friday in the English language, therefore it is also known as a Friday Mosque. In the revolts of 1857, after the British won, they wanted to demolish the Jama Masjid, but due to the extreme opposition, it was not demolished. Next time when you are going to be in Delhi or plan a visit to Delhi, don’t forget to add Jama Masjid to your itinerary. To also try to attend the Qawali session and we can bet that it will be one of the most mesmerizing experiences for you. For more updates like interesting facts about Jama Masjid and other related details, like and subscribe to tentaran.com. read this website, and I used to pay a visit this weblog daily.